Minimalism is quite simple: you can’t own a car, have more than 3 pieces of clothing or do anything other than sit in your non-decorated apartment and contemplate the silence around you. Who would want to live as a minimalist if it meant boring and restricted living? 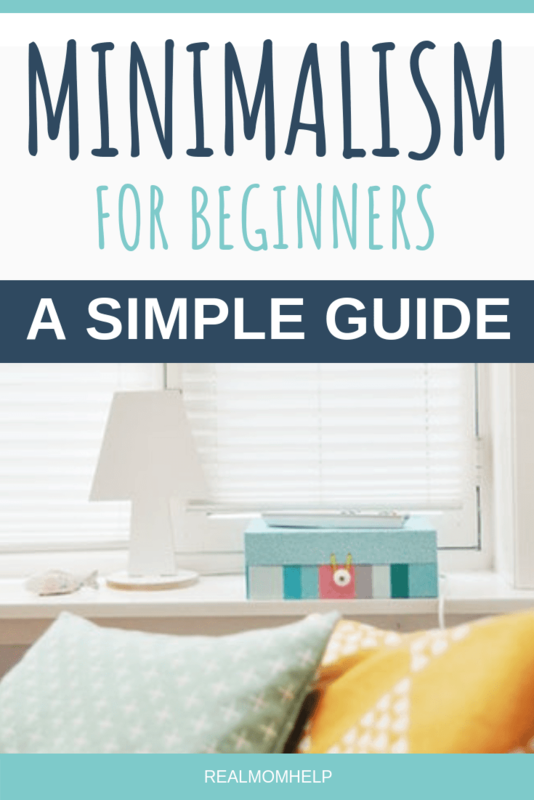 In this guide, I’ll show you what minimalism is and why you should try it. I’ll even help you get started! Minimalism means a lot of things to a lot of people, but this is how I define it. Minimalism is a way to freedom through simplified living and contentment. Freedom from having to have it all. Freedom from constantly changing trends. Freedom from “more”. Freedom from “should”. It means to live fully, to focus on rich relationships and be who you were meant to be. Are you longing for a slower paced life where you have time for what really matters without neglecting what needs to be done? Are you dreaming about a calm home, clutter-free house and happy family members? Ever thought of what it would feel like to be content? Minimalism means all of these things, and the best part is, you can totally define what it personally means to you! If you look at minimalism as a constantly evolving lifestyle, you’ll find what’s right for you even in different seasons of life. The simple answer is to have more time dedicated to the important relationships in your life. The longer answer lies in evaluating what keeps you unnecessarily stressed, busy and striving for more where you can’t be your best on the areas that truly matter. Do you struggle with keeping your household duties under control, spending all your free time catching up? Do you feel like tearing your hair out every time you ask your kids to pick up their toys? Do you have a full closet but nothing to wear? Do you spend a ton of money on connecting with your kids and still feel distant? Do you struggle to find time to strengthen your marriage? Do you find yourself longing for that one perfect thing to complete your life? If you have answered yes to any of these questions, then minimalism is for you. This lifestyle of freedom and contentment will bring more meaning into your life than you thought possible. You have already made the first step. You looked for answers and if you are still reading this, you determined that minimalism could be the answer to many of your problems. Congratulations, you’re now officially a minimalist! The most basic way to follow minimalism in your marriage is to stick to it. Yes, you heard that right. Married for a lifetime. Sounds pretty simple. Right? No. Life is much more complicated than that, after all, let’s be real here, I am married to a divorced guy. My point is that no matter what your marital status is currently, there’s hope. There’s always hope. The solution may not be what you have imagined and it may not be easy or quick but as long as you’re still breathing, there’s hope. 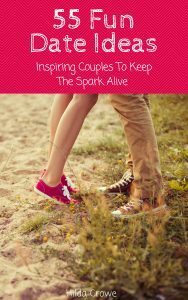 If your marriage is missing spark and you’d like to get back to regularly dating each other to keep the love alive, then read my ebook 55 Fun Date Ideas. If you’re disappointed that your significant other isn’t all that you thought he would be, then read my article on marriage problems and how to deal with them. For moms, this one is a biggie. We spend the majority of our time with these little people and while they are the cause of indescribable happiness, they’re also the source of endless worry and frustration. 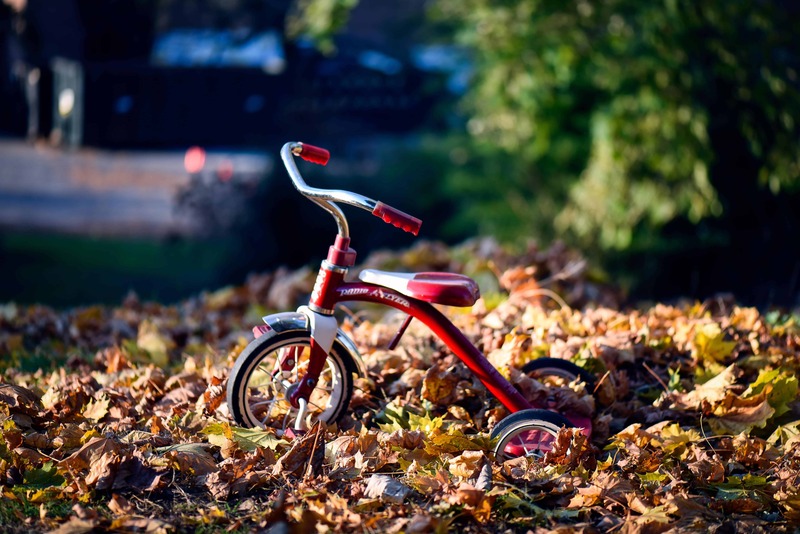 How do you find the freedom and simplicity in raising kids? You focus on what matters and you are constantly and consciously redefine what that personally means. I believe relationships are the most important ingredients to life so I will treat my parenting in line with that. When I am wondering how I should handle my kid’s backtalk or sassiness, I remind myself of that one thing: our relationship. She is more important to me than to be right. He is way more precious than to be yelled at. I will handle, or at the very least aim to handle, the situation by making sure I don’t damage the relationship. I don’t want to shame, punish, call names or yell. All of those things damage the delicate relationships between a parent and a child. What I do want is to build up, encourage, correct, guide and set limits. All of those strengthen my relationship with my children and molding them into better people. I make sure to note here: I am very far from being perfect at this. I struggle every day. But this is my game plan, my ideal if you will. This is the mom I want to be and I will never stop trying to get closer to it. If you feel the same way, there’s only one thing to do: make steps toward the right direction every single day. A great parenting style that emphasizes preserving the parent-child relationship is called positive or gentle parenting. For more information read this Guide To Positive Parenting For Beginners. Whether you’d like to know how to help your kids listen better with one-liners or you want to start parenting without yelling, I got helpful tips for you. If you’d like to know how to reduce arguing, then read how to talk to your kids in a more positive way. If you find yourself frustrated with your child crying and pitching fits, find out what helpful things you can learn to say instead of “stop it”. Another aspect of minimalist parenting is the way you approach your kid’s learning and playing. Minimalist moms realize that their children are far better off with fewer toys and more chances to be truly creative. Minimalism allows kids to be bored from time to time and figure it out themselves. When you choose simplicity, you don’t need electronic devices and expensive trips to the store to keep your kids entertained. Get started with this article from Simple Families. Parenting hacks are also a great way to make everyday tasks go so much smoother. And if you need ideas on how to spend time as a family, read 10 Ideas To Spark Your Next Family Fun Night. While homeschooling is not a “requirement” for minimalist living, some of us choose that route for our children’s education. If you are just getting started or thinking about homeschooling, read the Ultimate Guide To Homeschooling For The Overwhelmed Beginner. This may be the most self-evident aspect of minimalism since it simply means less clutter, less stuff, more organization, better routines and a long term perspective on life. Owning less is super freeing but requires a little bit of upfront work and then maintenance. Since stuff is constantly creeping into our homes, a minimalist is always ready to purge and re-evaluate. 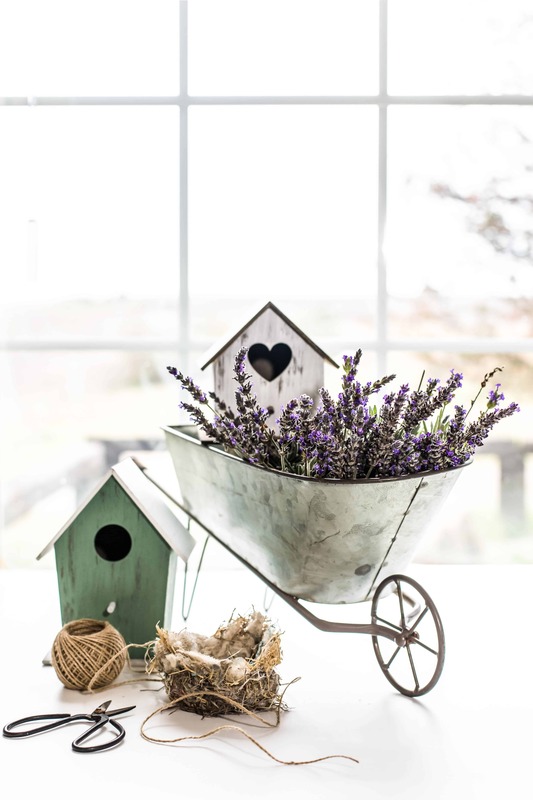 This area is where you’ll find a lot of immediate satisfaction because de-cluttering and organizing your home happens as soon as you work on it. You’ll soon see a huge positive change in your struggle with housework and daily routines. If you’d like to get started, learn how to clean your house quickly and effectively. Setting up a family command center will streamline the activities your family participates in, help you organize paperwork and organize family life in one central location. Healthy and quick lunch hacks and a list of simple snacks for kids will save you a ton of time in the kitchen so you have more time spent around the table together. This one sounds kind of weird, like how can you practice minimalism in something that isn’t even tangible? Minimalism in faith means two things: first, that you put your faith in the One that really matters. Second, you focus on feeding your spiritual self with a simple but consistent routine. There are a ton of things to believe in and many gods to choose from in this world. On this blog, I talk about following Jesus. I believe He is the One True God who is worthy of my faith. Click the link to read my full testimony and how you can find this Jesus I am talking about. 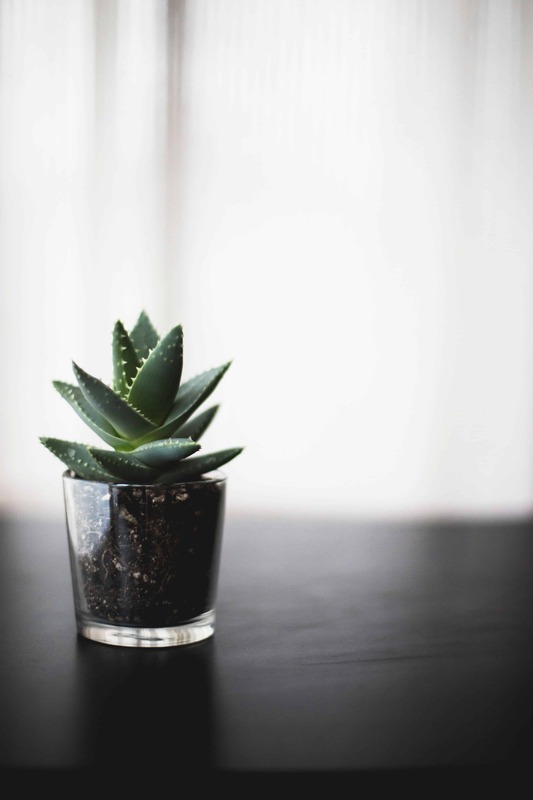 If you are already a believer and you’d like to grow your faith and relationship with Jesus the minimalist way, then these resources are for you. They have FREE online bible studies for women. You can follow along by yourself, or through their facebook groups or invite your own group of girls. With every study, they have blog posts and other ways to dig deeper and connect. They have a blog, a unique studying method and a podcast to encourage and equip moms in their pursuit of Jesus. I found a book recommended here, Women of The Word by Jen Wilkin, to be especially helpful in understanding Bible literacy and Bible study itself. I have tried for many years to be the perfect Christan and much of my efforts kept me from seeing the reality: it isn’t about me. Faith isn’t a set of dos and don’ts. It’s a relationship. You don’t need the perfect Bible study, the quietest room or the biggest church. All you need is an open heart, a desire to know Him and an understanding of who you are in Jesus. 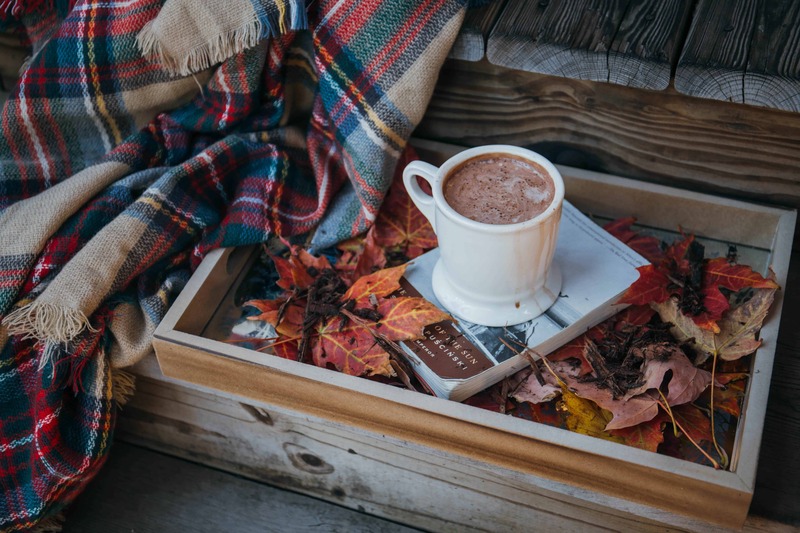 Self-care is a hot word nowadays, but the concept isn’t new: you need to recharge your batteries in order to be able to give, love and mommy on. Airlines have been warning us for decades that in case of emergency, oxygen masks go on you first before you help anybody else, even your kid or spouse. I never listen to airline demonstrations about safety anymore because I have heard it so many times, but this stuck out recently. How often do I try to take care of everybody else’s needs and totally neglecting my own? If you’ve ever felt like that too, you will appreciate this one weird thing to be a better mom. Self-care does not have to be expensive or luxurious unless you want it to be. Taking care of ourselves also means paying attention to our appearance. I’d like to shout it from the rooftops how much I love capsule wardrobes. The concept of having a small wardrobe full of items you can mix and match was a total game-changer for me. I’m no fashionista, so I needed some help. I also needed my wardrobe to be functional, budget-friendly and not require constant updating. I’m happy to say I found the solution, and I tell you my secret. Read how to create the perfect mom capsule wardrobe the easy way. Since I consider good relationships to be the essence of life, it would make sense to promote having as many friends as possible, throwing lots of parties and constantly scouting for playdates. But I don’t promote that. Instead, I believe in true friendships that stand the test of time. 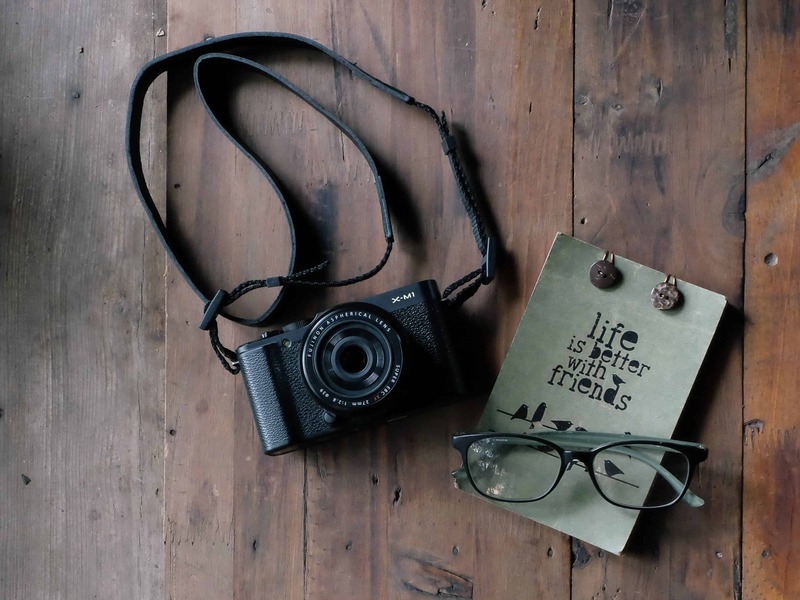 Minimalism in your friendships means you focus on the people around you with an open heart and cultivate deeper connections instead of having a ton of superficial ones. This is about finding your “tribe” or your “village”, the circle of women who lift you up, support you and aren’t afraid to give it to you straights. These true friends are the greatest treasure. You can invite them over for a crappy dinner party any time and they will be there with food and no judgment. But this doesn’t happen overnight or easily. Deep friendships require time, vulnerability and intentional pursuit. I am currently working on articles about friendship, so check back for those soon. You can sign up for my mailing list to get them as soon as they are done! Great relationships don’t just happen on their own, you make them happen by simplifying life and spending time cultivating them. Minimalism is a great way to get started with that! Are you ready?